SolarWorks! was founded in 2008 by industrial designer Bernard Hulshof and econometric Arnoud de Vroomen. The SolarWorks! development centre is based at the incubator of the University of Technology in Delft (The Netherlands). Here products design and R&D is conducted. The distribution of the Solar Home Systems is done in Mozambique, where over 80% of the 29 million inhabitants do not have access to electricity. Mozambique is an untapped market with fast growing mobile money penetration which is an important driver behind the fast growing sales of Pay As You Go sales. 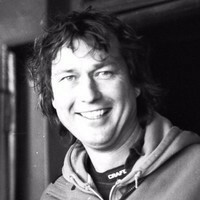 Arnoud de Vroomen is CEO of the company. He worked several years at Unilever and has been the director of Lemnis Solar. SolarWorks! also has a sales office in Johannesburg. The country is situated in Southeast Africa, adjacent to the Mozambique Channel and the Indian Ocean. Mozambique has a political multi-party system. They’re working hard on protecting the fundamental human rights and on transitioning to a free market economy. After the civil war, the country found themselves in a period of rapid economic growth. From 1993 up to 2009, the average yearly economic growth was 7,5%. The gross domestic product (GDP) per capita during this period increased from $137 to $458. According to the United Nations, 54,1% of the population lives below the poverty line.